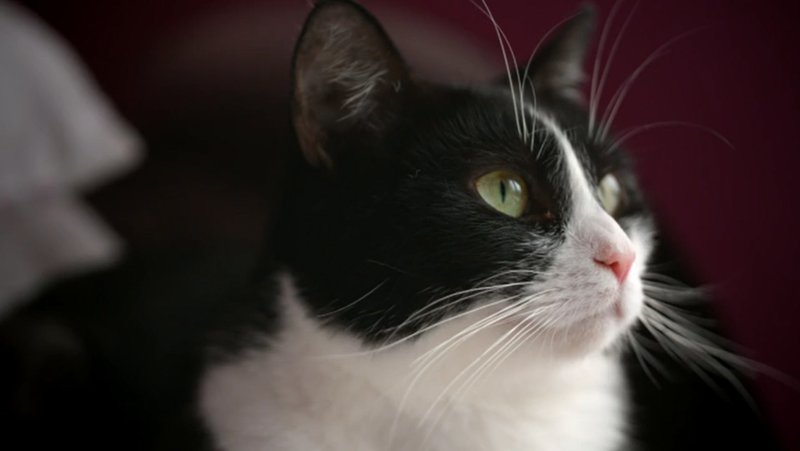 Jade was rescued by adoptive mum and rescue centre owner Jo when she was just a kitten. 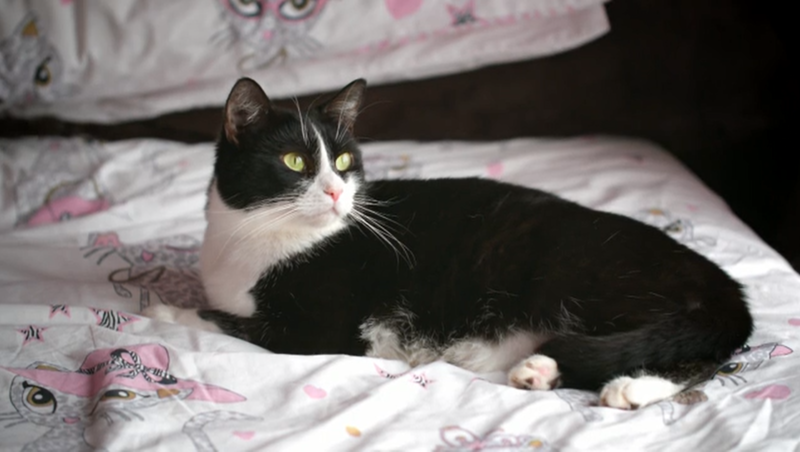 Together with her 15-year-old daughter Jenny, they live with seven other cats at their home in Surrey. Jade was turned down for adoption because of her medical problems, so Jo and Jenny decided to give her unconditional love and whatever care she needed for the rest of her life. 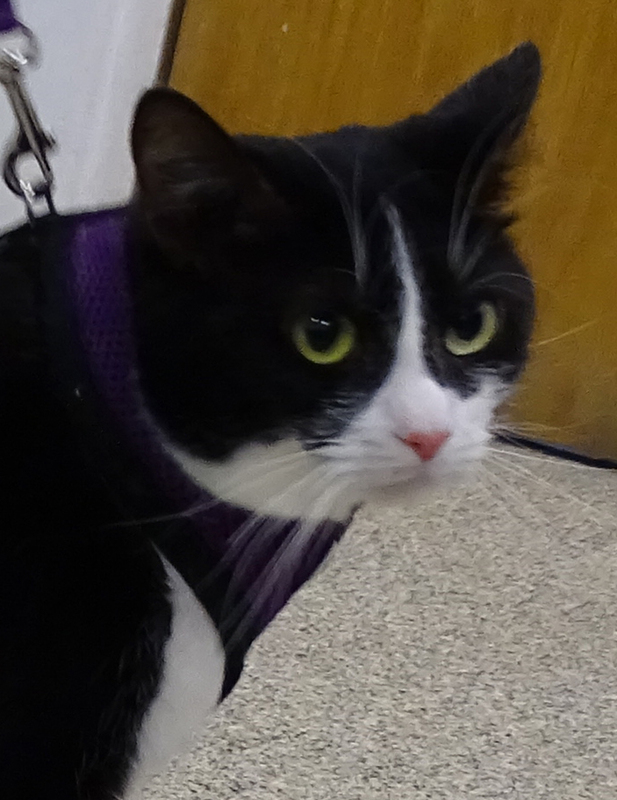 Jade was suffering from a deformed right back leg, which was leaving her with mobility problems and a lot of pain. An x-ray from Jo’s local vet showed a partially healed fracture to her knee joint, as well as a bad skin condition. She was given pain relief and Jo had already discussed amputation or fusing the knee at Fitzpatrick Referrals. She was then offered the prospect of a custom total knee replacement – an operation only performed by Professor Noel Fitzpatrick in the UK. 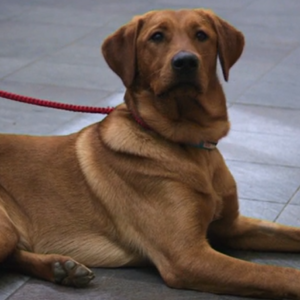 Jo and Jade returned to Fitzpatrick Referrals to consult with Noel, who after looking at a CT scan of Jade’s leg, asked whether there was a reason why Jo hadn’t considered full limb amputation. 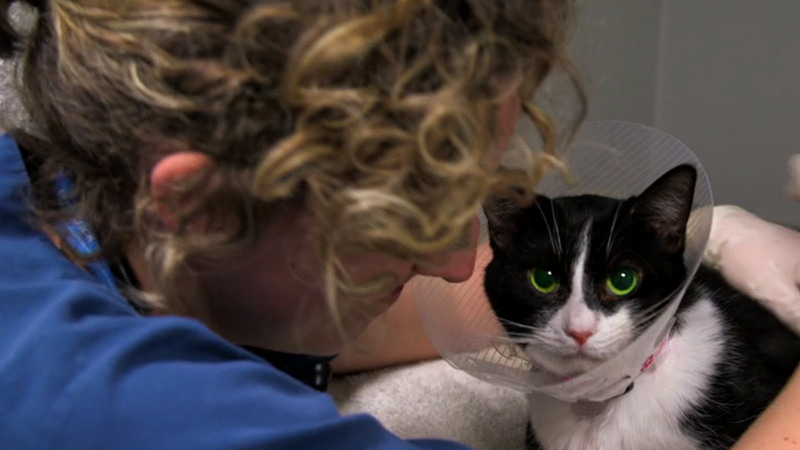 Jo explained that Jade was still very young and believed she deserved a second chance to keep her leg. The CT scan showed that Jade’s femur bone was dramatically twisted and knee cap displaced. Noel’s biggest concern was that her quadriceps muscle was too short and needed stretching – this would require dedicated rehabilitation at Fitzpatrick Referrals specialist rehabilitation centre. After giving Noel the go-ahead, Jo left Jade in his capable hands – ready for surgery that day. A custom total knee replacement involved replacing both the joint surfaces of the femur and tibia bones with bespoke implants – removing and preventing any more impact from the previously diseased joint. Noel then relocated the knee cap into the groove. 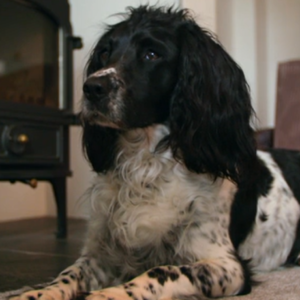 The operation was a success but recovery depended on daily rehabilitation at Fitzpatrick Referrals and Jade needed to stay for another two weeks before she could be reunited with Jo and Jenny. Rehabilitation was crucial to ensuring Jade’s quadriceps muscle was strengthened. After a fortnight of daily hydrotherapy with the centre’s dedicated rehabilitation team, Jade was beginning to gain stability in her leg and was allowed to go home. At first, I wasn’t sure about her but when she did come out of her shell, she was a really loving cat. That’s why I liked her. She’s like my best friend in a cat. In Surrey, Jade continued with rehabilitation for four months and for the first time in her life, was moving freely, jumping around and playing. Jo was thrilled to see such a vast improvement in Jade’s quality of life and Jenny was relieved to have her best friend back.